Aboveground Low Profile Liquid Holding & Hauling Tanks | BARR Plastics Inc. 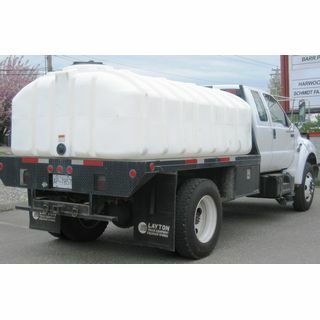 The low profile tank is ideal for use as a stationary storage tank, aboveground or for use on trailers or in the back of trucks during transport. Their low profile design means a low center of gravity to reduce tipping hazards and improve visibility. Slosh reduction ribs also provide excellent structural support. See the Baffle Balls-Liquid Surge Stabilizers section for information on use of these items to eliminate sloshing and surging forces when starting, stopping and turning a vehicle mounted with a transport tank. Baffle Balls pay for themselves quickly in reduction of costly vehicle maintenance and much improved driving safety.